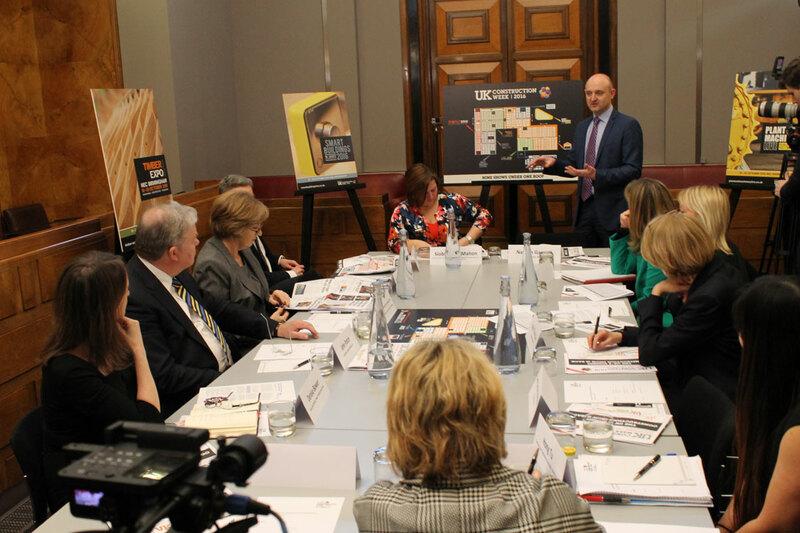 Despite a clear business case for a more diverse workforce, the industry still lacks the understanding and leadership required to address inequality; so was the conclusion of a recent high-level discussion, attended by well-known champions of diversity in construction. 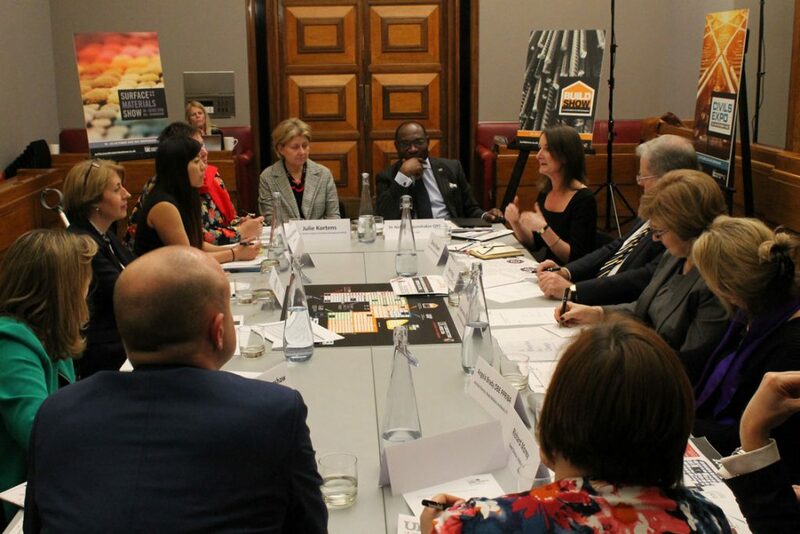 Brought together to form the UK Construction Week Diversity Advisory Group, the panel confronted the major barriers and challenges the industry faces in bridging the diversity gap. With a firm commitment to encouraging the cultural shift that is much needed in the industry, the lessons learned from the panel discussion will shape the agenda for the event in October – ensuring that construction professionals at all levels are equipped to embrace diversity and other challenges, turning them instead into positive opportunities. Two interesting schools of thought emerged, around tackling the issue at grassroots versus leadership from the top. 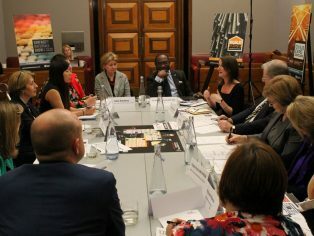 Much of the discussion centred around reputation and the difficulties we face in attracting any youngsters into the construction industry – and particularly girls and ethnic minorities. The teachers too, it seems. The panel chair, Bridget Bartlett, Deputy Chief Executive of the CIOB, cited poor careers guidance as another limiting factor and felt more needed to be done by the industry to educate and excite youngsters about a career in construction. Although there are some fantastic examples of the construction industry engaging with children, with a host of wide-ranging ideas, it was agreed that it was generally pockets of activity. In fact, fragmentation is possibly one of the biggest problems. It was clear from those just around the table itself that there are a huge number of associations, working groups and campaigns all working towards the same goals. Girls schools are almost inundated with well-meaning gender diversity initiatives, for example, and don’t actually know which way to turn. “It’s about time we stopped re-inventing the wheel,” challenged Denise Bower, Executive Director, Major Projects Association. There are 49 different professional bodies in the construction industry and this proliferation of initiatives, all aiming to achieve the same thing, in a slightly different way, means that they are ineffective overall. Having a more balanced representation at board level is a crucial part of this. “You come in, you look up – and all you see are 50 year old white males,” says Bridget Bartlett. The panel concluded that UK Construction Week could provide a fantastic opportunity for organisations to come together and strengthen the currently fragmented approach. Richard Morey, Group Events Director at Media 10, the company behind UK Construction Week, commented: “The discussion highlighted a need for the industry to come together and start tackling the issue of diversity as one. There are some great initiatives and some leading thinkers in the area but we’ve still got a long way to go. “I think UK Construction Week could play a pivotal role, in providing a platform for those that are making great strides in balancing out inequality in our industry, to demonstrate best practice and inspire others. I think we should also use it as an opportunity, to challenge business leaders to make that commitment to achieving minimum requirements and demonstrating on-going progression, as was so passionately called for in today’s discussion. Taking place at the Birmingham NEC from 18 – 20 October, UK Construction Week combines nine shows in one location. With over 24,000 trade visitors last year, the show boasts over 1,000 exhibitors. Visitors are able to attend the Build Show, Civils Expo, Timber Expo, the Surface and Materials Show, Energy 2016, Plant & Machinery Live, HVAC 2016, Smart Buildings 2016 and Grand Designs Live. For more information please visit www.ukconstructionweek.com or follow @UK_CW on Twitter.